I can't get enough of English manor houses. There is just something about a train ride out into the lush countryside and wandering through a house steeped in history! So the other day I took a trip out to the county of Kent, the "garden of England." When the Normans took over England in the 12th century, they built castles up and down the English coast to show their strength. While in Kent, I visited one of these Norman strongholds - Leeds Castle. 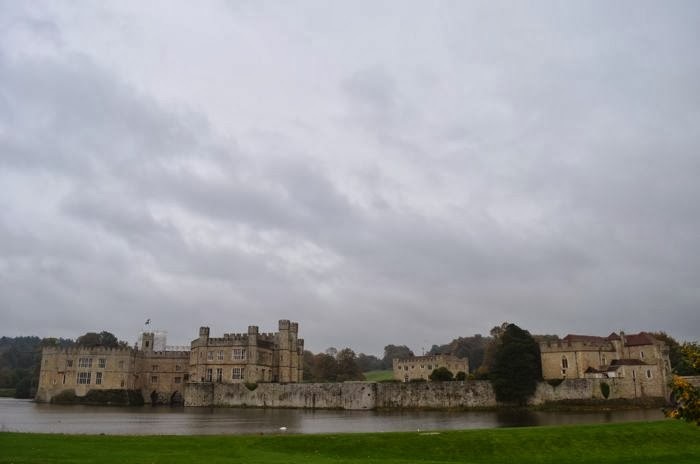 Leeds Castle came to be known as the Lady's Castle, because of a tradition started by King Edward I. When he married Eleanor of Castile, he gave Leeds Castle to her in her own right. Apparently when Eleanor died young, King Edward was so distraught he named many monuments and buildings after her. This anecdote was surprising to me, as my opinion of King Edward is completely based on his depiction in the movie Braveheart, where the character basically slaughters Scots for sport. In any event, the castle became a part of the Queen's dowry. This tradition continued for almost 300 years, until King Henry VIII granted the castle to an aristocratic family from the Kent area. Like many great country houses, Leeds Castle requires an enormous amount of resources to maintain. By the early 20th century, the English family that owned the castle could no longer afford its upkeep. Consequently, they sold it to an American heiress with Kent connections named Lady Baillie. 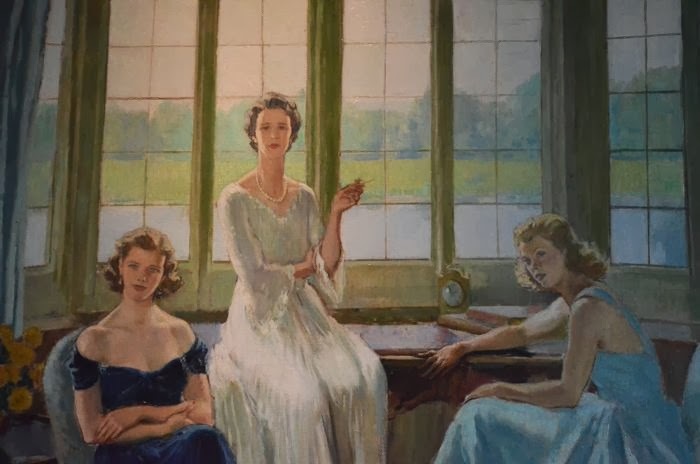 Above is a painting of Lady Baillie and her two daughters -- I think they look quite fashionable! Lady Baillie poured her vast wealth into both major structural rehabilitation of the castle and redecoration of the interiors. She hired Stéphane Boudin, who also was an interior decorator to First Lady Jacqueline Kennedy, to do much of the interior design. He infused the castle with a French style, including fabrics, furniture and color. 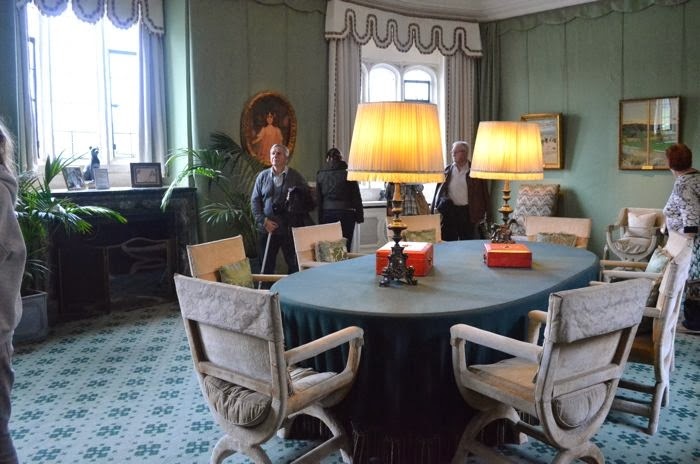 Notably, the initial talks that led to the Camp David Peace Accords were held in the above room. One of my favorite parts of country houses is walking around the grounds. 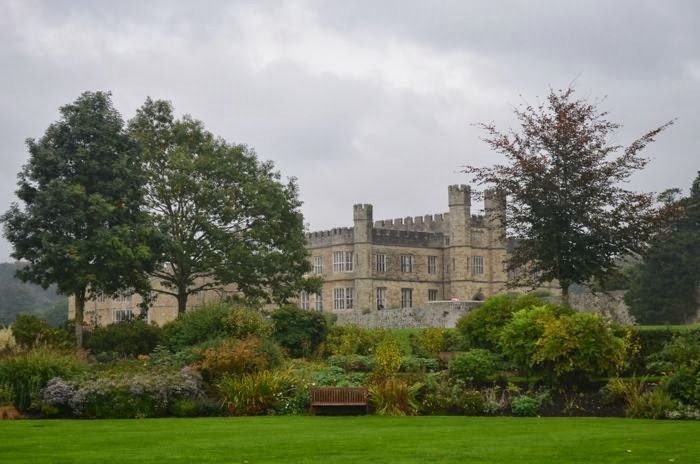 Leeds Castle was no exception, with its beautiful gardens and great views. I am so happy I was able to make a trip out there!